Rabbi Jeffrey Brown of Scarsdale Synagogue Temples Tremont and Emanu-El was a member of AJWS’s 2015-2016 Global Justice Fellowship, an initiative to engage key Jewish opinion leaders across the U.S. to become advocates for the human rights of people living with poverty and oppression in the developing world. This Sunday, May 15, people in the Dominican Republic will head to the polls to make their voices heard. They’ll elect their politicians in all layers of government, from their country’s president and vice president to their local mayors and vice mayors. But thousands of Dominicans will be prevented from fairly exercising their basic right to vote. Many of those unable to vote are Dominicans of Haitian descent. More than 200,000 Dominicans of Haitian descent have been robbed of their citizenship status and their rights by the Dominican government because of their Haitian ancestry. These people are naturally-born Dominicans of Haitian decent, some of whom can trace their ancestry in the Dominican Republic as far back as a century, who have been stripped of their rights and citizenship and have been forced into a state of legal limbo. I was exposed to this crisis firsthand when I traveled with AJWS to the Dominican Republic last January as a Global Justice Fellow. We find ourselves in the midst of the season of the Counting of the Omer on our Jewish calendar. Each night we count off the days, linking Passover’s redemption from Egypt to Shavuot’s celebration of the giving of Torah at Sinai. The question of human rights occupies the space between these two holidays. A powerful tyrant enslaved our ancestors and stole their dignity and freedom. They cried out under their oppression, and God heard their cries. God empowered Moses to advocate on the slaves’ behalf. And after ten horrific plagues, Pharaoh relented and set them free. We tell this story about the past. But the fight for freedom isn’t just relegated to a story in our past. It happens in every generation. And while we might be blessed to live lives that are steeped in freedom and opportunity, we know that far too many are not as privileged. 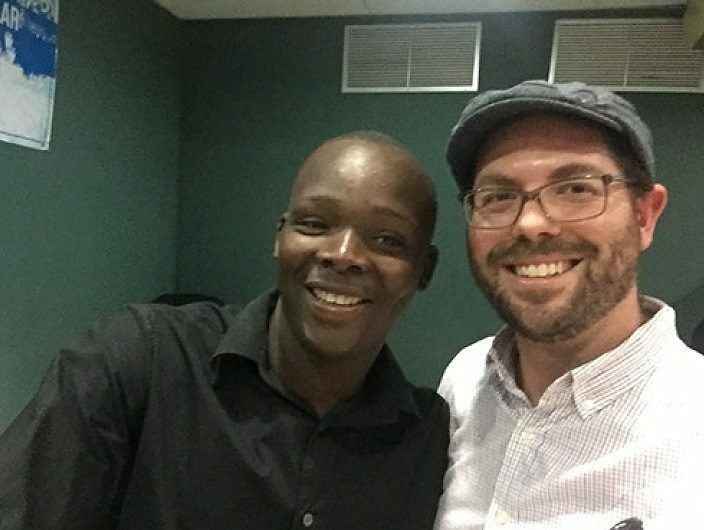 When I sat at my Seder table this year, I viewed every ritual act as an opportunity to fuse the Jewish story of liberation with the struggles facing Dominicans of Haitian descent. Their tears were our tears, represented by salt water. Their brokenness was our brokenness, represented by the breaking of the middle matzah. Their hope for the future was our hope for the future, represented by the opening of the door for Elijah. During this season of counting, I have been reminded that every single person counts. No government gets to decide which people deserve to be treated with dignity and which don’t. And I have returned, repeatedly, to the story of a young man named Ignacio, whom I was privileged to meet when I traveled to the Dominican Republic. Although Ignacio himself was born in the DR, his family is of Haitian descent. There is a long and troubling history of racism, classism, and Dominican ethno-centrism, which has led to a crisis of statelessness. Hundreds of thousands of Dominicans of Haitian descent are living without papers, without the freedom to get an education, or earn a living wage, or travel freely domestically or internationally. When Ignacio is not helping out around his house, he is playing baseball. And it turns out that Ignacio is a very talented baseball player. And because Major League Baseball has a significant presence in the DR, Ignacio has a theoretical path to economic success and stability. He’s been offered contracts by two American baseball teams! But he cannot sign either of them, because he cannot produce papers to prove his identity. Ignacio is not the only Dominican without freedom. More than 200,000 innocent Dominicans who happen to have had family who came from Haiti one or more generations ago are being punished because their skin is a little darker and their voice carries an accent. Ignacio’s story, and the stories of so many others who remain enslaved in our world, deserve to be told. Ignacio deserves to be counted. We tell stories so that we can act on them, by working together to speak truth to power—all in an effort to save one life at a time, in one country at a time. The act of hearing, telling and becoming is a vehicle for building a more just, equitable and compassionate world. As we await the outcome of the Dominican Republic’s elections on Sunday, we must share and become the stories of the 200,000 Dominicans of Haitian descent who have been denied their basic humanity because they deserve to be counted. The Dominican government must treat them with dignity and we must hold our own community accountable to speak out against their suffering. 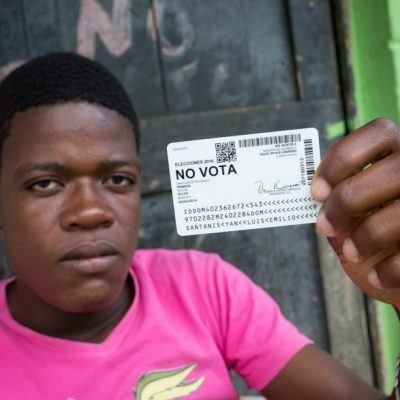 Learn more about the situation for Dominicans of Haitian descent in the Dominican Republic’s upcoming elections. Jeffrey Brown serves as rabbi of Scarsdale Synagogue Temples Tremont and Emanu-El in Scarsdale, New York. Previously, he served as assistant and associate rabbi of Temple Solel in Cardiff, California. 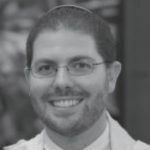 He is a nationally recognized rabbinic blogger and his writing has appeared in numerous print publications, including The CCAR Journal and The Sacred Table (named a finalist for the 2011 National Jewish Book Award). Jeff holds a B.A. from George Washington University and earned rabbinic ordination from Hebrew Union College-Jewish Institute of Religion. He lives in Westchester County, New York, with his wife, Amy, and their children, Siona and Avi.